Build your own backyard bowling alley! Whether you’re good at it or not, bowling is a fun thing to do with friends and family. But a session at an alley requires planning and isn’t a cheap outing! Why not build your own backyard alley you can use anytime? Got enough space in your backyard? Then it’s definitely a build worth the effort if you’re a bowling enthusiast. Or if you’re someone who loves hosting BBQ parties, this would be also be a great idea for entertaining your guests! Do you know someone who would love this idea, too? Previous PostBuild your own portable lumber rack! The Wild West Comes to the Backyard! 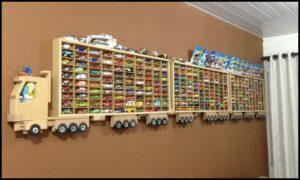 Display your kids’ toy cars with one of these awesome storage ideas!